Listen to the show here, and get each episode FREE automatically via iTunes! Your iPad becomes a laptop.. well, sort of. 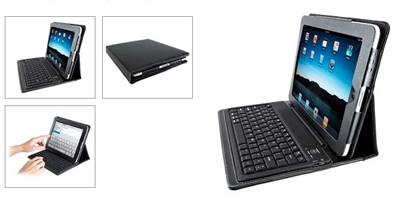 Integrated keyboard and case allows iPad users on the go who require a real keyboard with tactile functionality. Listen to the show for Sam’s overview! This entry was posted in AppMinute Podcast and tagged in Bluetooth, iPad Case, Keyboard, laptop.